Fukui Prefecture is the center of eyeglass manufacturing in Japan. 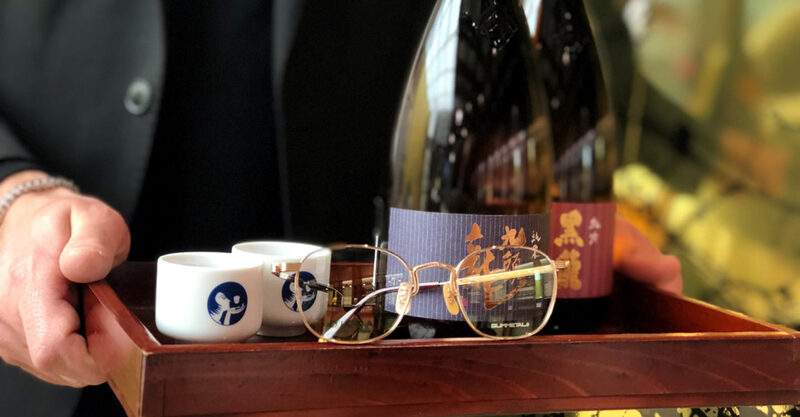 Come and taste Kokuryu sake from Fukui and take a look at Paris Miki’s collection of exquisite frames. The sakes offered during the promotion are Kokuryu “Tokusen” (ginjo), “Junmai Ginjo” and “Kuzuryu” (Junmai). They are all made with Gohyakumangoku, a special sake rice from the Hokuriku region, grown in Fukui.